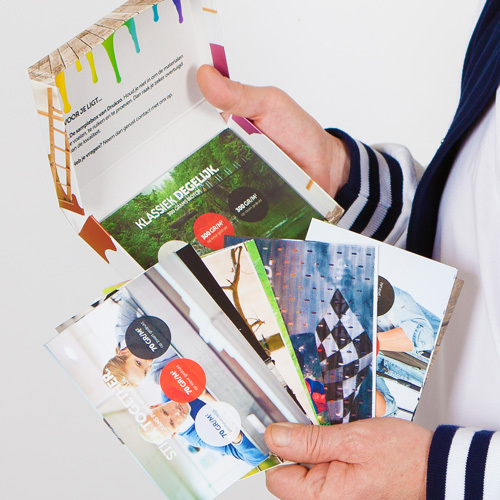 Are you curious about our high quality paper types and printing materials? The Helloprint sample box includes a small sample of all our paper types, flag & banner materials and available stunning finishes. It is a great way to get a sneak peak of the materials before ordering or to show to your customers. Affter all, nothing beats the smell of beautifully printed paper! 1 How many sampleboxes would you like?